I may seem unqualified to write a reflection on motherhood. After all, I’m not (technically) a mother; I don’t have any children. However, this apparent lack does give me a unique insight into the beautiful truth that all women are called to be motherly as a way of living out our unique dignity and vocation as women. 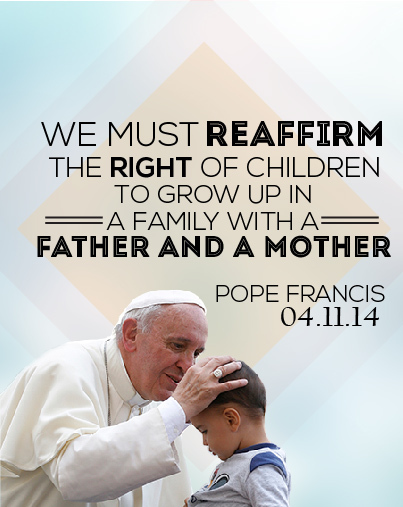 All of us, men and women, have the same fundamental vocation: to love (see St. John Paul II, Familiaris Consortio, no. 11). The way women live out our vocation to love is profoundly shaped by our capacity to welcome and give birth to new life. Recent popes have stressed that this capacity is not just biological but affects us down to the core of our identity as women. Being apt-for-motherhood is inseparable from who we are. Pope Francis pointed to this truth in his apostolic exhortation Amoris Laetitia: “Motherhood is not a solely biological reality, but is expressed in diverse ways” (no. 178). St. Pope John Paul II gave us ample guidance on what these “diverse ways” of expressing motherhood are. At the heart of motherhood, he said, is “a special openness” to a new child, an “interior readiness” to accept him or her, and “a special communion with the mystery of life” (Mulieris Dignitatem, no. 18). While these characteristics are easy to see in the actual conception and birth of a child, this attitude of openness, welcome, and closeness to the mystery of life can be seen in myriad other ways of living out one’s motherhood, such as a concern for the needy and vulnerable, an attentiveness to other people, and generous service to others (see Mulieris Dignitatem, no. 21; and John Paul II, Letter to Women, nos. 9 and 12). Put another way, conceiving and giving birth to a child, while praiseworthy in an era that often rejects the gift of life and fails to protect the child in the womb, is still only the threshold of motherhood in all its fullness. Motherhood finds its deepest meaning in a concerted effort to do God’s will, to receive another person fully and to generously seek his or her good. Jesus said, “My mother and my brethren are those who hear the word of God and do it” (Luke 8:21). This motherhood is not always the mother-and-child tableau that first comes to mind. Some of the more “hidden” forms could include a mother who places her beloved child with an adoptive family, seeking the child’s flourishing despite her own aching heart; a mother who says goodbye to several children before others even knew they existed, carrying them always in her heart despite her empty arms; a wife not granted the gift of new life but who pours herself out in the service of her extended family; a godmother who steps up as a motherly presence for her godchild when his parents’ lives get hectic; a woman who notices when a co-worker is struggling and offers to help; and so on. These and so many other ways are how all women can live out their motherhood! And they are ways women, even those not blessed with physical motherhood, can affirm the goodness of each and every person, the gift that each child is (truly a gift; not deserved), and how all are called to welcome life at all its stages. Visit our Facebook page to share this quote with mothers you know! Intention: For mothers: that they may discover the depths of love through their gift of themselves to their children, and in so doing, serve as a witness of the love to which we are all called. We must keep our eyes fixed on Christ, who helps us to see the people in our lives through his eyes and love them with his heart. As we celebrate this Mother’s Day, remembering our own mothers’ gift of life to us, let us take seriously our own call to self-sacrificial love, allowing that love to radiate to others. Did you know? We’ve all heard it said that our hearts become bigger the more we love, but did you know that during pregnancy, a mother’s heart actually physically increases in size? (See: Health on the Net Foundation and British Journal of Radiology).